A mom in California said her son is being targeted by a teacher who put him out of class after complaining that the lines in his haircut caused a distraction. She wrote about her experience on the ACLU blog. Paggett said she disagreed with the school but agreed to take him back to the barbershop to get his lines faded in. However, she says she was unable to secure an appointment over the weekend. When her son returned to school the next week without the fix, it presented more of an issue at school. Paggett said her son explained the circumstances to administrators – that it’s not easy to walk into a busy barbershop on a Saturday and get a haircut without an appointment and the shop was closed on Sunday. Unmoved by the explanation the vice principal put the student in isolation anyway. Paggett said the school’s lack of cultural sensitivity it’s very concerning to her and her son. Then Erika Paggett said the principal followed up by telling her that she could have taken her son to Supercuts, a mainstream establishment that doesn’t specialize in African American haircare. Um, no, we won’t ever be doing that. 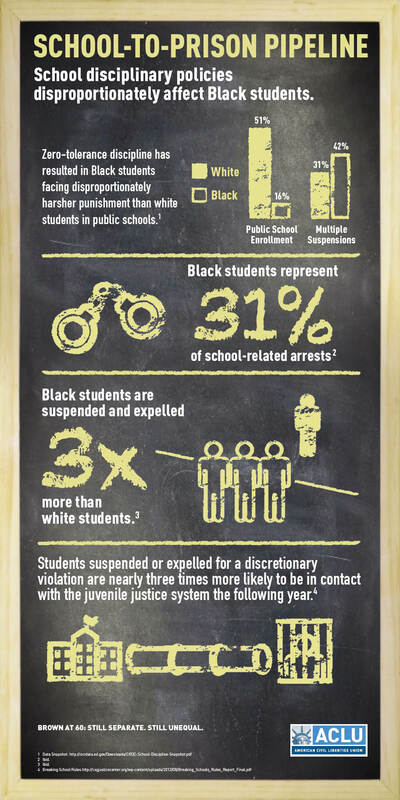 Research shows that black students, especially boys, are disciplined more often and receive more school suspensions than white students. Erika Paggett believes that black students should not be punished because of what they look like and because teachers and administrators are unfamiliar with black people’s hair. Hair styles, she said, should not be considered distracting or “unusual” simply because other people are uncomfortable with them. Paggett has now enlisted the help of the ACLU to defend her son’s rights and remedy the issue with the school. An ACLU attorney is now working on the case and Erika Paggett says she hopes the district will do the right thing. But it might be a little too late to ease her son’s concerns. “I was able to erase the lines cut into my son’s hair, but not the emotional trauma he suffered,” she said.